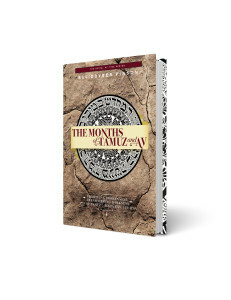 Each month and season of the year, radiates with distinct Divine qualities and unique opportunities for growth and Tikkun. The summer month of Tamuz and Av contain the longest and hottest days of the year. The raised temperature is indicative of a corresponding spiritual heat, a time of harsher judgement and potential destruction, such as the destructions of the first and second Beis HaMikdash, which began on the 17th of Tamuz and culminated on the 9th and 10th of Av. A few days later, on Tu b’Av, the darkness is transformed and reveals the greatest light and possibility for new life. During these summer months of Tamuz and Av we embrace our brokenness so that we can heal and transform darkness into light.